These books offer a comprehensive review of the state-of-the-art in innovative Beyond-CMOS nanodevices for developing novel functionalities, logic and memories dedicated to researchers, engineers and students. It particularly focuses on the interest of nanostructures and nanodevices (nanowires, small slope switches, 2D layers, nanostructured materials, etc.) for advanced More than Moore (RF-nanosensors-energy harvesters, on-chip electronic cooling, etc.) and Beyond-CMOS logic and memories applications. This book provides a comprehensive review of the state-of-the-art in the development of new and innovative materials, and of advanced modeling and characterization methods for nanoscale CMOS devices. 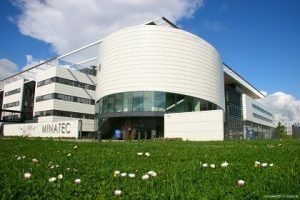 Leading global industry bodies including the International Technology Roadmap for Semiconductors (ITRS) have created a forecast of performance improvements that will be delivered in the foreseeable future – in the form of a roadmap that will lead to a substantial enlargement in the number of materials, technologies and device architectures used in CMOS devices. This book addresses the field of materials development, which has been the subject of a major research drive aimed at finding new ways to enhance the performance of semiconductor technologies. It covers three areas that will each have a dramatic impact on the development of future CMOS devices: global and local strained and alternative materials for high speed channels on bulk substrate and insulator; very low access resistance; and various high dielectric constant gate stacks for power scaling. The book also provides information on the most appropriate modeling and simulation methods for electrical properties of advanced MOSFETs, including ballistic transport, gate leakage, atomistic simulation, and compact models for single and multi-gate devices, nanowire and carbon-based FETs. Finally, the book presents an in-depth investigation of the main nanocharacterization techniques that can be used for an accurate determination of transport parameters, interface defects, channel strain as well as RF properties, including capacitance-conductance, improved split C-V, magnetoresistance, charge pumping, low frequency noise, and Raman spectroscopy.